Preaching from the Minor Prophets is a daunting task. With a limited text before them, the preacher needs to be able to identify the historical setting of the author and book, as well as its place in redemptive history. Added to these tasks is the difficulty of finding the balance of prophetic language against sin and injustice with that of restoration and hope. The book of Micah presents these challenges and more. Micah was a contemporary of the Prophet Isaiah and saw the downfall of the once-proud nations of Israel and Judah. In the midst of the tumult, he foretold of Samaria’s fall (1:5–6), Jerusalem’s destruction (1:5–6), exile and return (4:6–8), and Bethlehem as the site of the Messiah’s birth (5:2). Chapter 1 informs the reader that Micah was from Moresheth-gath—about 25 miles outside of Jerusalem. Whereas some prophets came from among the economic and political elite, Micah was a country-preacher. However, he was no simpleton, as he demonstrates a mastery of communication. He used metaphor and wordplay extensively. (NOTE: Micah’s use of wordplay can easily be lost when the book is read only via English translations. Those who find Hebrew difficult will find biblical paraphrases to be helpful in study.) Once seen, however, his rhetorical skill is impressive and should press those who preach through the book to give thought to their own communication. Most commentaries divide the book into three cycles, each beginning with a call to “listen,” or “hear” (1:2, 3:1, and 6:1). However, many preachers will find discomfort in the notion of crafting 3 sermons consisting of 2 or 3 chapters each. It may be to both the benefit of the preacher and the congregation to break the book into 7 sermons, which enables the preacher to choose a more reasonable pericope while still communicating the overall message of the book. Preacher, do not neuter the language or tone of the book of Micah. It should shock our sensitivities. It is intended to do that very thing! It should be repulsive and harsh. Such is the presence of injustice and oppression before a holy and righteous King! As you stand and proclaim God’s Word to your people, do so boldly. Show them God’s abhorrence of sin. Tell them that judgment is coming against all injustice and oppression. Connect the dots linking the atrocities of Micah’s day to our own. But after having done so, produce the hope of forgiveness, restoration, and pardon of the Messiah who has come and is coming again to make right every injustice. 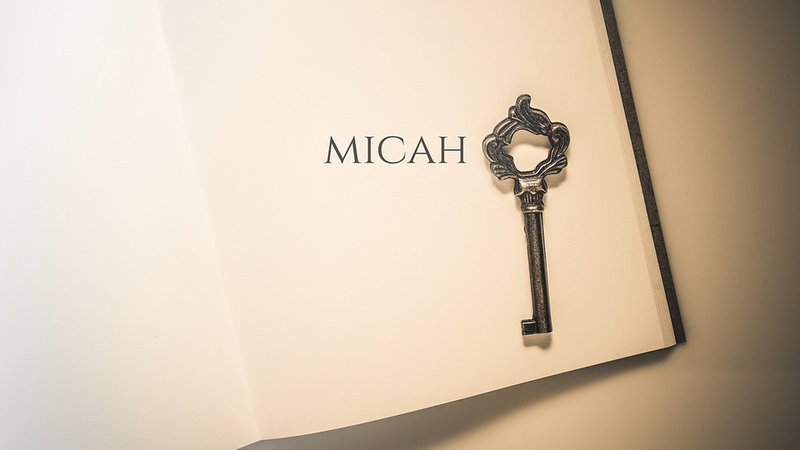 Capturing the substance and spirit of the book of Micah will convict those desensitized to the injustices of the world and the sin present in their own lives. It will also comfort and breathe hope into the hearts of those who have felt the weight of this broken world on their shoulders. And for both of those reasons, we must not shrink back from the task of preaching the book of Micah.